We always recommend you to try the product before you purchase it. ServiceDesk standard edition is available for free trial with all the features available in licensed edition. Trial version has no user restriction, hence you can create as many users as you wish. You can install the trial version on single PC or on multi PC connected via LAN Trial has cap of 25 entries. Trial for Professional edition is available only on request. Enterprise Edition is not available for free trial. However, you can try professional edition to understand the interface and features of application. Enterprise edition being the higher edition would certainly have additional features than the professional. 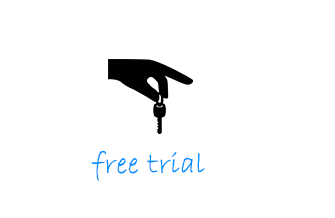 For free support during trial period contact us at trial@spinso.com or call us at +91.22.25826330.